Philosophy of time is a particularly lively area of contemporary philosophy with a great deal of interdisciplinary interaction. Several aspects and issues connected to this topic and the related theories have been systematically explored and intensely debated, in a considerable and still increasing amount of literature. Many of these issues and problems have emerged in the course of history, though often in contexts that were very different from the ones in which we find them today. Although general historical overviews can be found in many contemporary overviews of philosophy of time, the relevance of historical considerations for many contemporary debates has been often overlooked. 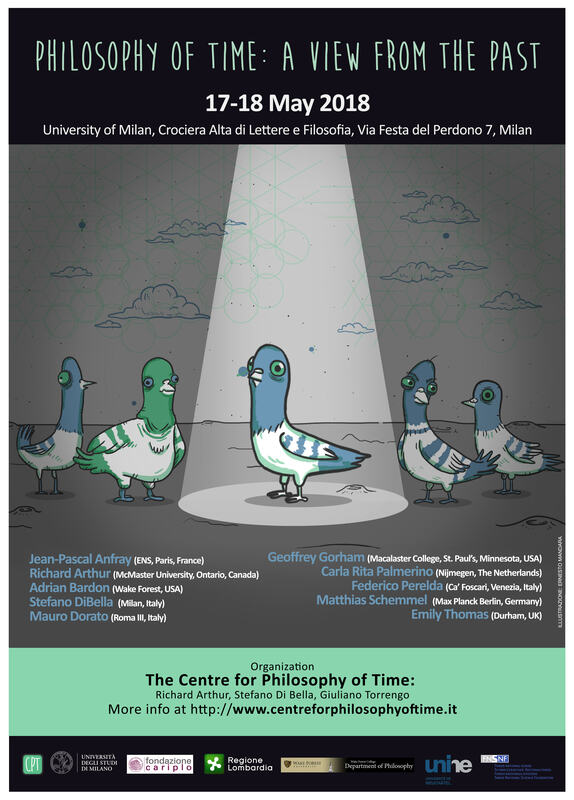 The authors and philosophical movements on which the invited speaker will focus range from antiquity to the beginning of twentieth century, where the framework and agenda of contemporary philosophy of time started to be worked out. In this paper I treat some issues pertaining to the rival claims of the so-called “A-“ and “B-theories” of time, as discussed in the first chapters of my forthcoming book, The Reality of Time Flow: local becoming in modern physics. I contend that this opposition is not well posed. I will argue for this by delving into some of the antecedents of McTaggart’s famous argument to be found in Aristotle’s discussion. I endorse the latter’s linkage of the reality of passage to the reality of motion, and use it to show the shortcomings of Russell’s (1903) solution to Zeno’s Arrow Paradox. I then analyze McTaggart’s arguments, and show how both his and Russell’s treatments are vitiated by their dependence on a tacit (idealistic) premise about the pre-existence of “positions in time” that they share with Hegel. Empiricists have a time problem. If the past and future are not directly perceived, then neither is temporal succession. Awareness of any current state as a complex state—the parts of which represent temporally distinct experiences—depends on a grasp of temporal order/succession. So our grasp of temporal succession, it seems, cannot originate either in a simple impression of the senses or in simple reflection on experience. One approach to dealing with this issue is extensionalism, which states that our acts of awareness are themselves temporally extended, and so may include temporal succession as part of their content. Hume’s version of extensionalism has received very little attention; I shall take a look at its distinctive features, along with problems and prospects for his account of time consciousness. The dialectical chapters of the Later Mohist corpus from Warring States China (ca. 300 BCE) are a rare source documenting theoretical reflections on time, space, matter, and mechanical and optical phenomena, because, in contrast to most other sources of this kind, they originated completely independently from similar traditions in ancient Greece. They are therefore well-suited, by way of comparison, to address questions of necessity and contingency in the development of theoretical reflections on fundamental concepts. In my contribution I will present some of the Mohist definitions and propositions that center around the concept of duration and its theoretical derivative of ‘non-duration’ and discuss the origin of the knowledge they represent.